The strategic plan of the Outdoor Action Committee, dedicated to improving our Missouri outdoors. 4. 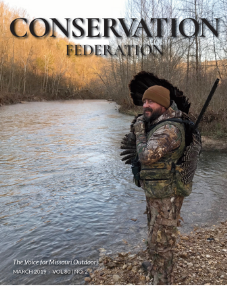 Engaged stewardship is vital to Missouri’s outdoors. 5. Outdoor goals will be achieved by citizen action investment, and partnerships. 6. Youth are our passion and essential to Missouri’s outdoor future.